Tourist Attraction In Yogyakarta Indonesia – Yogyakarta is one of the most culturally rich province in Indonesia, often called simply ‘Jokja’, ‘Jogja’ or “Jokjakarta”. (Y’s are pronounced like J’s in Bahasa). Yogyakarta still retains a calmer soul, culturally rich in ancient Javanese arts and today Yogyakarta is home to the nation’s most prestigious university, a traditional art & music scene and picturesque thatched cottages set among tiered rice fields. Yogyakarta’s multi cultured past has an impressive lineage of Hindu and Buddhist kingdoms that left behind elaborately intricate religious temples and palaces. Without further adieu, here is our list of in Tourist Attraction In Yogyakarta Indonesia! Borobudur temple is the biggest Buddhist temple in the ninth century meansuring 123×123 meters, located 42 km nortwest Yogyakarta. Borobudur is one of the word’s most famous templese it stands majestically on hilltop overlooking lush green field and distance hills. Burobudur is build of gray andesite stone. It rises to seven terrace, each smaller than the one below it. The top is the great stupa, standing 40 meters above the ground. The walls of the Borobudur are sculptured in bas-reliefs extending over a total length of sih kilometers. It has been hailed as the largest and most complete exsemble of Buddhist relieves in the world. 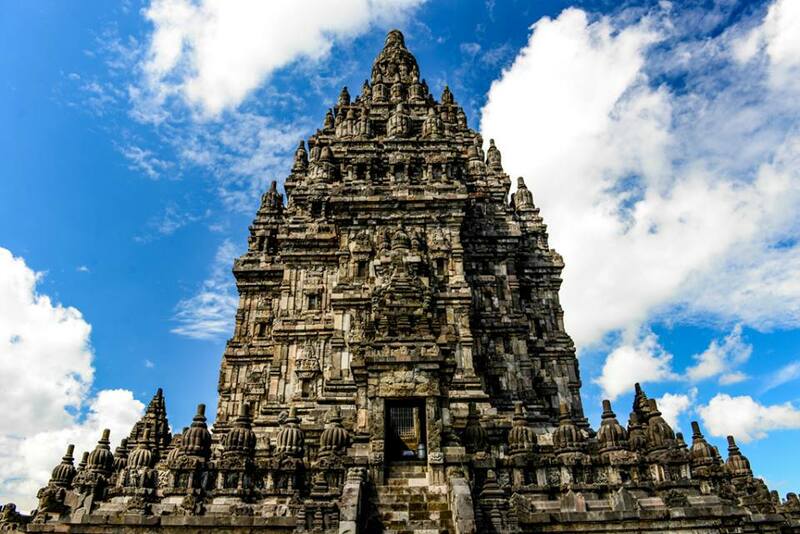 Prambanan temple was built in the 10th century, located 15 kilometers from Yogyakarta. It is largest temple compound dedicated to Shiva Rising above the center of the last of these concentric squares are three temples decorated with reliefs illustrating the epic of the Ramayana, dedicated to the three great Hindu divinities (Shiva, Vishnu and Brahma) and three temples dedicated to the animals who serve them. Malioboro Street is the biggest shopping street in Yogyakarta. Around one-kilometer long, Malioboro Street offers different choices of shops, hotels and restaurants for its visitors. The shops vary from traditional local shops, to big shopping centers. Local vendors are spread along the sidewalks in Malioboro, and you can choose from many types of souvenirs: batik clothes (traditional cloth painted with wax), wayang (Javanese puppets), and much more. Kraton Yogyakarta (or ‘Yogyakarta Palace’ in English) is the heart of Yogyakarta. It is not only a palace complex, but also where the Sultan of Yogyakarta and his family live. Be prepared to be amazed at the Dutch-style stained-glass windows which decorate the palace, or the intricately decorated roof and marble floor. Here, you can find several small museums which display artifacts from the different sultanates, as well as other Javanese artifacts from different eras. You can also find old photographs of former Sultans of Yogyakarta. Taman Sari is a water castle located approximately two kilometers south of Kraton Yogyakarta. It is an old royal garden built in the 18th century. The complex includes a workshop area, a resting area, a meditation area, a defense area and a hiding place. Basically, Taman Sari can be divided into four different zones. These are the Segaran Lake area in the west and the Umbul Binangun bathing complex to the south of Segaran Lake. There is also the Pasarean Ledok Sari and Garjitawati Pool in the south of the bathing complex, and the remaining parts of the complex. 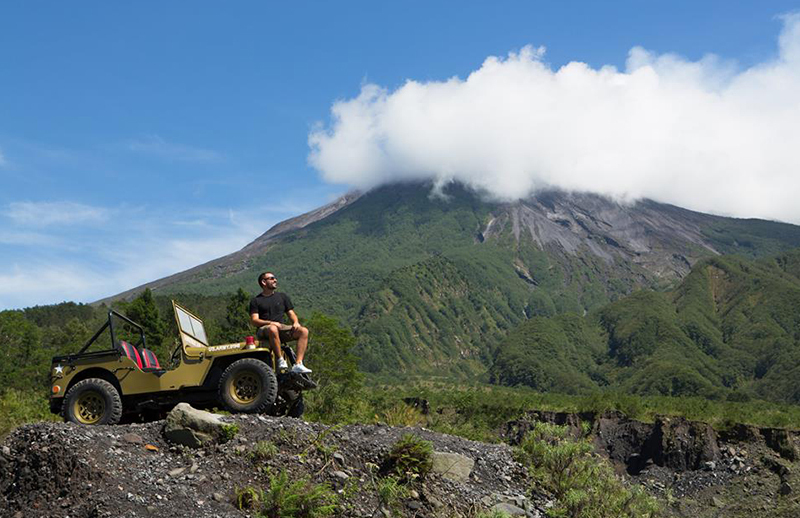 The beautiful yet terrifying Mount Merapi is the perfect tourist attraction for adventurous travelers. This very active volcano in Indonesia has erupted 68 times since 1548. Dare to hike the mountain to shoot spectacular photos while grooving on amazing scenery. A ticket booth is available before the village of Selo, and it is the only way to hike to the summit of the mountain. Most climbers start their hike at 1am to be able to reach the summit by sunrise at 5.30 am. 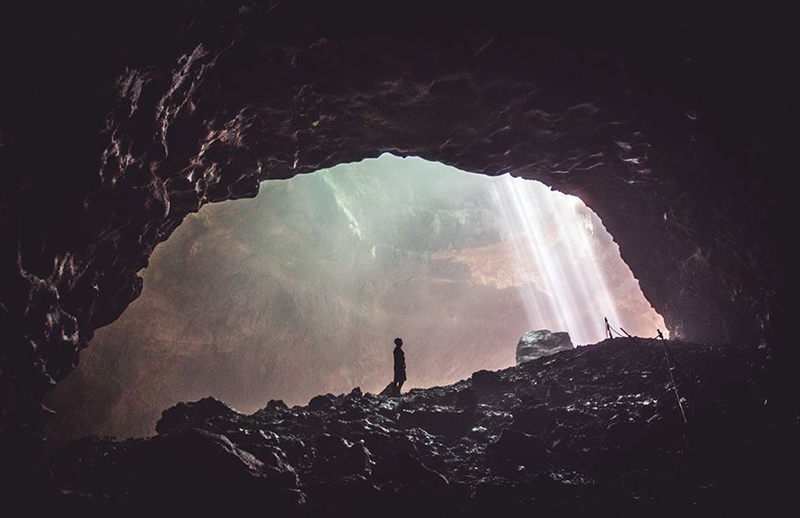 Jomblang cave is one of the natural highlights of Yogyakarta. The caves are located in Semanu, Gungung Kidul Regency. It’s a 90-minute drive from the center of Yogyakarta and the perfect day trip from the city. Jomblang cave isn’t really a cave, it’s part of a cave system that covers the whole of Gunung Kidul. The caves were formed over thousands were formed by rainwater and underground rivers that eroded the karst rock (a bit like the famous underground caves in the Yucatan, Mexico). The actual cave (or the bit that the tourists see) is made up of three parts. The first is a large huge sinkhole that was formed by the roof of the cave collapsing. The second part of the cave is a long tunnel and the final part is Grubog cave, the central cave. As the final corner we will see the rays of sunlight pouring through the roof of Grubug cave. Kalisuci cave located at Pacarejo Village, in the Semanu sub-district, Gunungkidul Regency, Yogyakarta Province, the Kalisuci Cave is about 60km from the city of Yogya and can be reached in a 1.5-2 hours’ drive from the city. The name Kalisuci simply translated means ‘Holy River’ which originates from the spring found in the area that produces an endless flow of crystal clear water even in the rainy season. However, during the rainy season cave tubing here is prohibited for safety of the public since the caves may suddenly flood. Pengger Pine Forest, formerly known only as a dark, silent and creepy pine forest, now turned into one of the best Pine Forest tourism destinations in the Dlingo region Bantul Yogyakarta. Not only during the day, tourists visit this pine forest, but evenings, there are still many tourists visiting the Pengger Pine Forest. The main reason tourists keep coming at night is because of its location in the hills, from here you can see the beautiful view of the lights of the city of Yogyakarta. The manager of Pinger Pengger Forest also realizes that there must be a differentiation between pine forests from one another to become a special attraction for tourists. The differentiation is the installation of various art installations of various shapes made using dried tree branches, the most iconic of which is an art installation in the form of a giant hand with a beautiful panoramic view of the city of Yogyakarta which is also a photo spot for tourists visiting the Pengger Pine Forest. Mangunan Fruit Garden is located 15 km from the city of Bantul. This fruit garden was deliberately built for recreation as well as breeding grounds of several fruit plants. Located at an altitude of about 150 to 200m above sea level offers an excellent scenery and fresh air in the early morning. In addition, it is also a great place to enjoy sunrise and sunset. Well, from the article you know that Yogyakarta interesting tourist attractions in the city of Yogyakarta, of course there is no end. There are various types of tourist areas that are very pleasant to visit from natural beauty to history. You are obliged to immediately feel the uniqueness of Yogyakarta! 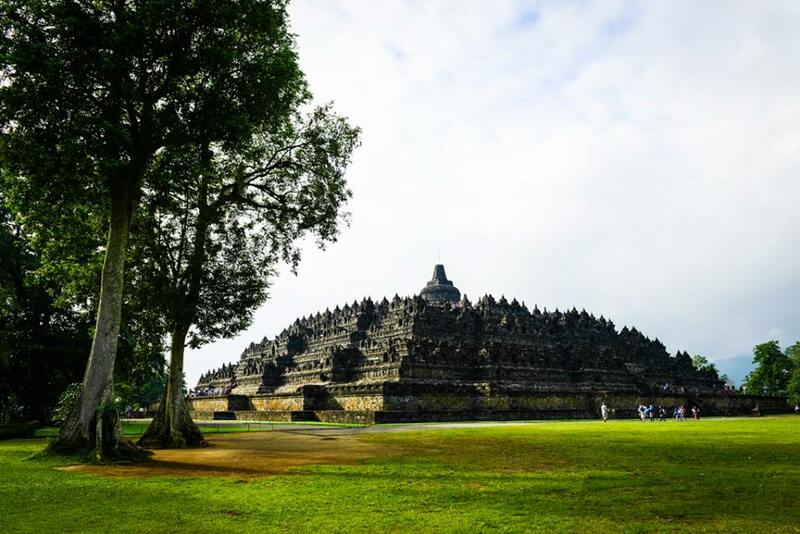 So if you are ready to visit some of the interesting places above, we are ready to accompany you, you can choose the Yogyakarta tour package that we have provided or first consult with us for other tourist attractions you want to visit.